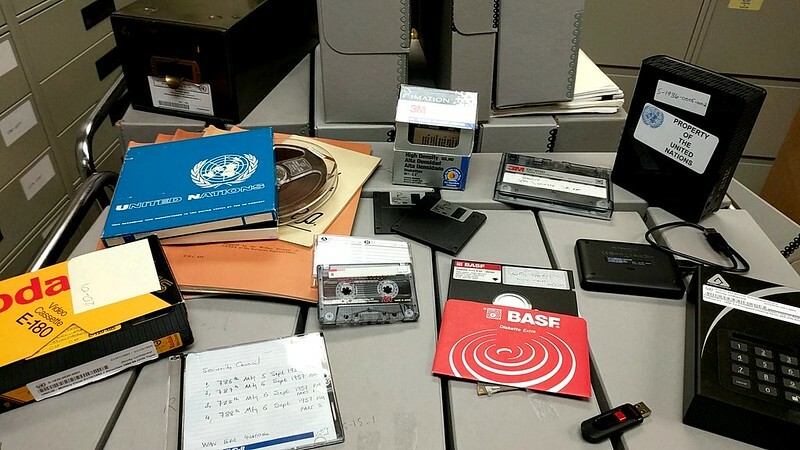 The Archives and Records Management (ARMS) store inactive records from United Nations offices based at United Nations Headquarters, from Special Panels created by the Secretariat or the Security Council and records from Peacekeeping Operations (PKO) and Special Political Missions. The following procedures are intended for UN Staff located at Headquarters and in the field. Special Panels and bodies created by the UN Secretariat or the Security Council must contact ARMS prior to planning on how records will be organised, archived and/or disposed at the end of their mandate. ARMS will provide record-keeping advisory services for paper and electronic records. These offices should always contact ARMS prior to transferring records, whether they are in paper or electronic format. Please read through Guideline: Transferring Records and Archives to the Archives and Records Management Section (ARMS) during the planning stages of your records transfer. It is a good idea to review the records and information you hold in your office before initiating the records transfer process. Some of the documents you have in your custody may be non-records such as reference copies, draft or duplicate copies, UN documents, UN publications, etc.. These should not be transferred to ARMS. For Office which close down their operations, such as UN ad-hoc bodies, Peace Operations, it is good practice to inventory your paper and digital records, particularly if they are not held in centrally managed information systems. Retention Schedules should be reviewed prior to transferring records to ARMS, as some records may not be subject to transfer. If your office does not have a retention schedule or you are unsure, contact ARMS. The first step is to organise the records into records series covering a specific date range. Series are groups of records arranged in accordance with a filing system or maintained as a unit because they result from the same accumulation or filing process, or as a result of the same activity. Records series are listed in your retention schedules. Examples of records series include: Official Status Files; contract files; staff medical files; audit files, etc. Once you have identified and grouped the record series to be transferred, you may proceed to the ARMS Records Transfer Form in Unite Self Service. Step 1 - Complete the user contact information in the e-form. Step 2 - Choose “substantive” or “administrative” which will bring you to either your departmental schedule or the RCUN retention schedule. Step 3 - Identify the record series that are eligible for transfer. Step 4 - Submit the on-line e-form to your departmental Record Coordinator for approval. Step 5 - The Record Coordinator approves the transfer of records on-line and submits it to ARMS for approval. Step 6 - ARMS processes the request and arranges for the delivery of boxes to the office. Step 7 - Pack the boxes according to the instruction below, complete the e-form folder listing of each box and submit the e-form to ARMS. Step 8 - ARMS approves the box/file folder listing and makes arrangements for the boxes to be picked up and sent to the Record Centre. Step 9 - An Accession Control Report, which includes all record series, box and folder information as well as the accession number will be forwarded to you electronically. The accession number has to be retained to facilitate future records retrieval requests. Box Contents. Files belonging to the same series and having the same retention period should be packed together. Non-Records, Blank Forms and Personal Items. Blank forms, personal items and printed United Nations documents and publications collected for informational purposes should be weeded and disposed before packing records. Filing Supplies. Active records should have been filed in manila or pressboard folders. If they were not, the ring binder should be removed and the records should be placed in labelled manila folders before packing. Excess filing supplies, such as hanging folders, file guides/dividers and binder clips should be removed. File Sequence. Files should be arranged in record plan or file list order. Box Limit. No more than one foot of records should be placed in a box to prevent the overfilling of boxes. Box Numbering. Offices should write their acronyms and a box number on the two sides of the box. Box numbering should include the specific and total box numbers, ex. 1/12, 2/12, 3/12, 4/12 etc. Box Label. When the transfer request has been reviewed by ARMS, ARMS will provide and affix Bar Code Labels to the record boxes in order to track location and manage the records.